All the events were listed in an open document online, which made it easy for people to find the protest action nearest them. The agrochemical giant Monsanto, founded in 1901, is often blamed for masterminding the majority of the pesticides and genetically engineered seeds used around the world. 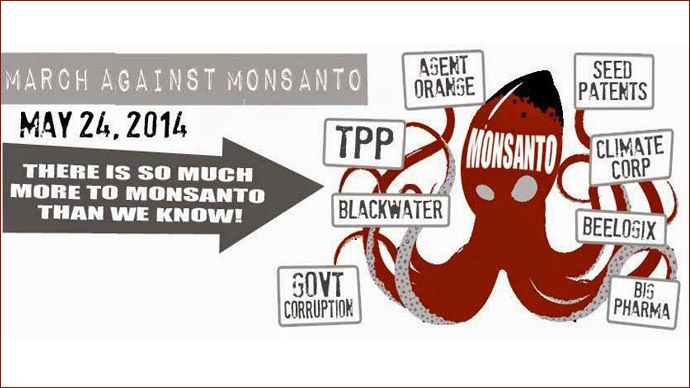 The company's track record has been scrutinized after Monsanto aided US herbicide warfare during the Vietnam war. Agent Orange was manufactured for the US Department of Defense primarily by Monsanto Corporation, the use of which is estimated to have killed and maimed around 400,000 while causing birth defects for 500,000 children. Scientific studies have linked the chemicals in Monsanto's pesticides to Parkinson's disease, Alzheimer’s disease, autism and cancer. 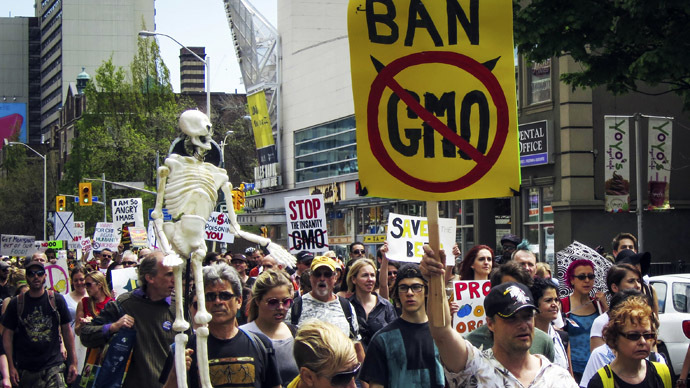 Birth defects, organ damage, infant mortality, and sterility are just some of the side-effects GMO is believed to cause, as Monsanto exerts vast control over the seed industry. 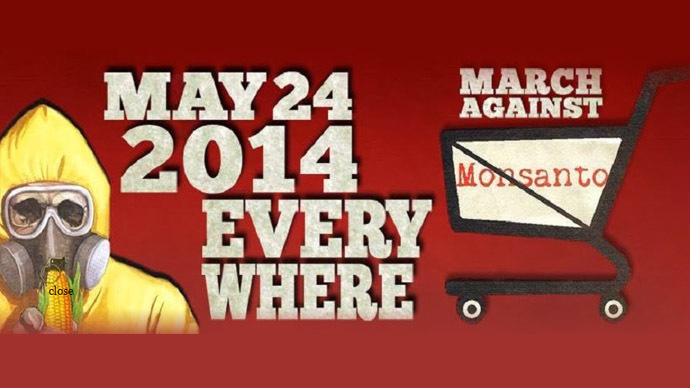 Monsanto issued a response to Saturday's global marches claiming their commitment to food and agriculture. “The 22,000 people of Monsanto are committed to having an open dialogue about food and agriculture – we’re proud of the work we do, and we’re eager for people to know more about us,” said Charla Lord, spokeswoman for Monsanto. Monsanto says it is ready engage with farmers to save the environment and provide for health needs. A statement that people in India will find difficult to accept as Monsanto controls about 95 percent of the cotton seed market trapping the country's small farmers in unpayable debt. “284,000 farmers have committed suicide in India because of debt linked to seed and chemicals,” Vandana Shiva, an Indian environmental activist and anti-globalization author said.